Depending on where you live, have traveled, and are aware of, you may have NO idea of what I am talking about when I say Mexican street corn. (If so, you are missing out, but don’t worry, you will be in-the-know shortly!). 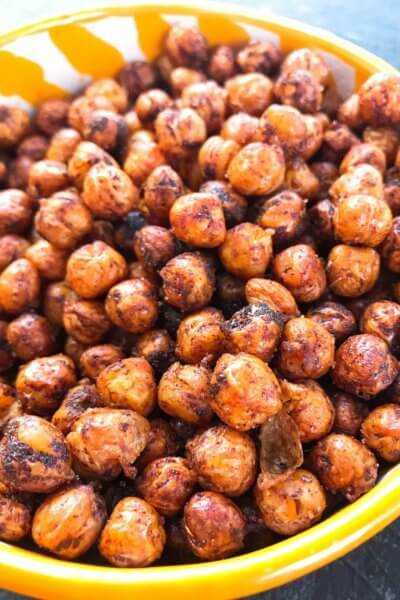 But oh, those of you that do know what that is, probably know all about the magic of this simple street food. 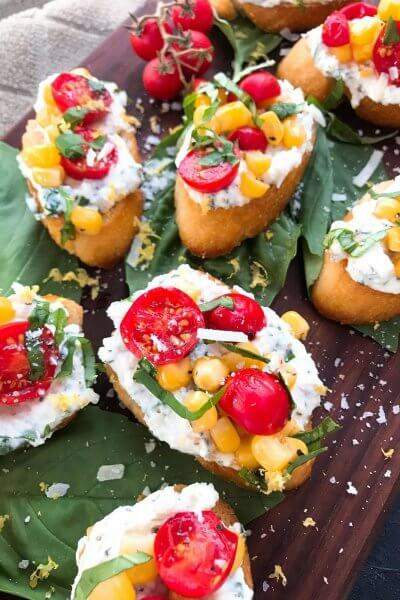 It is my inspiration for this Mexican Street Corn Salsa. Mexican street corn is typically a roasted ear of corn (husk still on for better grip!) that is slathered in mayo with chili powder and cotija cheese (although there are variations, of course). My first experience with Mexican street corn was on a family vacation to Santa Fe not too long ago. I had seen and heard about this treat but had not come across an “authentic” source. So I was extremely excited when I found a Mexican street corn stand at a market in Santa Fe! I am also a huge salsa freak, primarily for the chunky fresh types such as my Pico de Gallo, and this was a natural step to make a salsa out of the street corn. I was a little worried about the cheese at first (I LOVE cheese, so that was not the problem, you just don’t see chunks of it in salsa very often) but the softness and mildness of the cotija did not overpower the other flavors at all. Success!!! 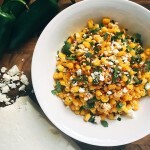 I have been using the amazing flavors of this Mexican Street Corn Salsa in different recipes. Check them out here! From enchiladas to frittatas and tacos, there are so many tasty options! Finely dice the jalapeno pepper. Remove the ribs and seeds for a mild heat or keep them in for more of a kick. Add all of the ingredients to a small bowl and mix. Season to taste as needed. 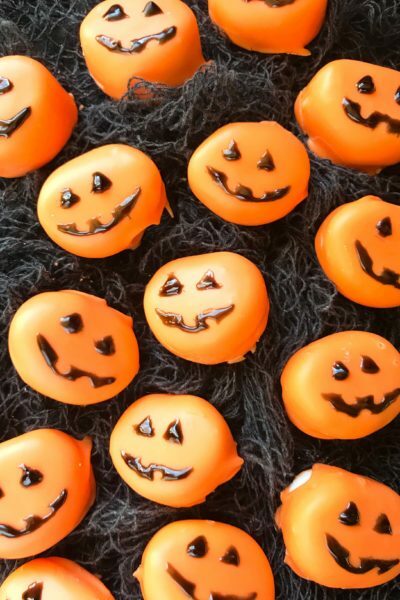 Refrigerate until chilled, approximately 30 minutes. This salsa is best the same day as the corn tends to dry out if made too far in advance. You can correct this by adding more lime or a little water to freshen it up again. 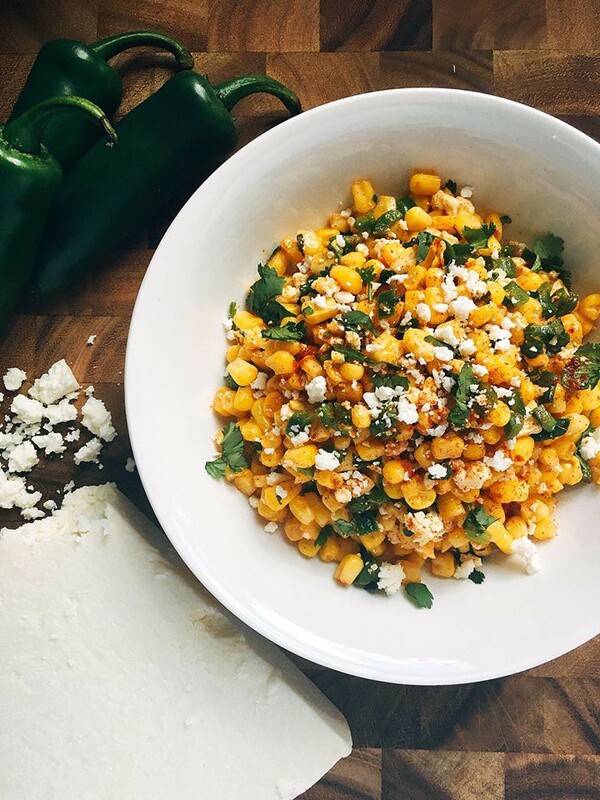 I absolutely adore Mexican Street Corn and this salsa recipe looks SO GOOD! I could eat it with a spoon! Mexican street corn is the best! I live in Mexico, and every evening the elotero, or corn vendor, comes around. 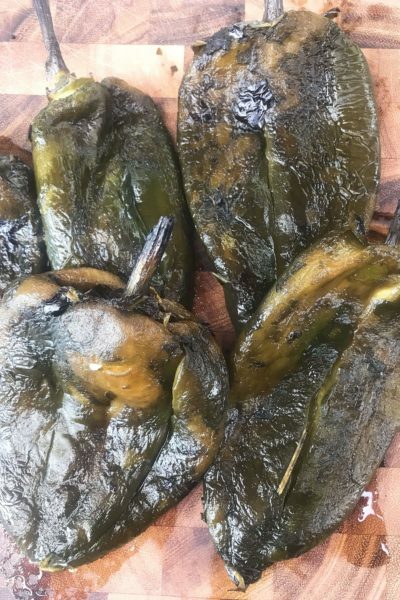 You can just step outside and buy a yummy cob of corn, slathered in mayo and covered with sprinkly cheese, lots of lime juice and enough chili powder to make it turn red. Delicious!!!!! Yum!! I wish it was that easily available here! Love the flavors of Mexican street corn. This is certainly an easier way to eat it. I am sure I would eat way more of it this way. Hello perfection!!! 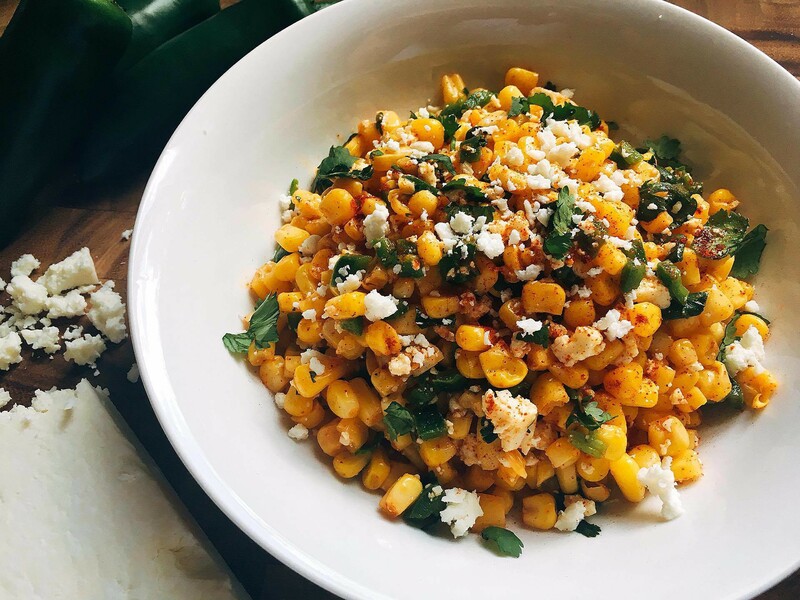 I’ve been craving Mexican street corn and this looks so simple and delicious!! Saving and sharing! I have to give this a try. Waiting for the fresh corn to come in season. Looks so good. Yum. Fresh corn definitely puts it over the top! This corn looks delicious! Can’t wait to make it! How? How in the world does one not know about mexican street corn?? What a sad life that would be…it’s sooooo good!!! Oh, yum! I live in Iowa where there is no shortage of sweet corn in summer. I can’t wait to try this! Um… this looks so divine! I am definitely saving this for later. Thank you for sharing! I can’t wait to try! I’ve never had mexican street corn. It looks delicious and full of flavor. I know my husband would LOVE it. I’m pinning for next time we have Mexican, can’t wait to try it!! Corn? Salsa? Cheese?! You have made my mouth water and now I need this. Thank you!! Gorgeous salsa! Do you think I can substitute the cotija cheese? Maybe goat cheese or feta cheese? Yes, you definitely could! The cotija is not too strong of a flavor. Goat cheese will be a little creamier but I think both would be great substitutions! Oh I’m pinning this. It looks and sounds lovely for Summer! this looks so good, love a quick and easy recipe! This looks great and will be the perfect addition to our taco night next week! This looks amazing! I love roasted corn. I am definitely making this. Who can resist this? 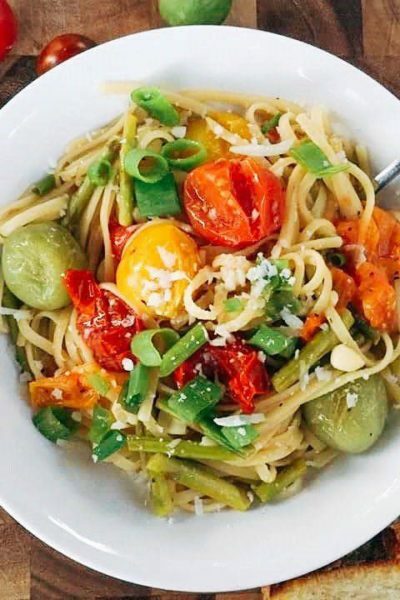 It looks both like a comfort food and a refreshing salad. Awesome. I’ve never heard of cotija cheese though (I don’t think it’s available here actually) so maybe sub another kind. Can’t wait to try! Looks super tasty! I prefer corn salsa over tomato ones. I think it’s the sweet heat combo that I love so much. I’m definitely making some! I can’t wait to make this recipe. But, I am going to wait until it warms up just a bit- I know it will taste so much better on a warm, sunny afternoon. Thanks so much for sharing. you really can’t beat the flavors here and it’s simplicity in preparation makes it all the more appealing. A must for the warm weather for sure! Oh my goodness, what a fabulous idea to create a salsa with these flavors!! I can’t wait to try it. Elote as a salsa? That’s inspired! This Texan girl is definitely giving that a try. Yum!! I love this side. I made a similar one with mayo in it last summer … but I really need to take a page out of your book and consider a healthier version. Love it! I can whip this is in no time. Can’t wait to try this out. Wow! This looks great– definitely going to have to try it! Never had it, but it’s probably a nice dish when you have fresh corn from the garden! OMG. This looks so good. I love your photography. I’ll definitely be back for more food inspiration. It looks so yummy! I love Mexican food! We have a tamale lady in the neighborhood, but I usually only see corn vendors at theme parks or after big events release in LA. As a HUGE fan of corn salsa, I think I’ll have to give this a try. Thanks for sharing!